Chinese manufacturers are always testing the boundaries of the level of internals that they can possibly cram into their flagship devices. Right now, we have the OPPO Find X and the Vivo NEX, two high-end Android smartphones with unprecedented screen-to-body ratios, plus they are heavy hitters in the hardware department too. According to the latest leak, OPPO might not be satisfied with launching just an 8GB RAM variant of the Find X and might be coming closer to announcing the world’s first smartphone with 10GB of RAM. 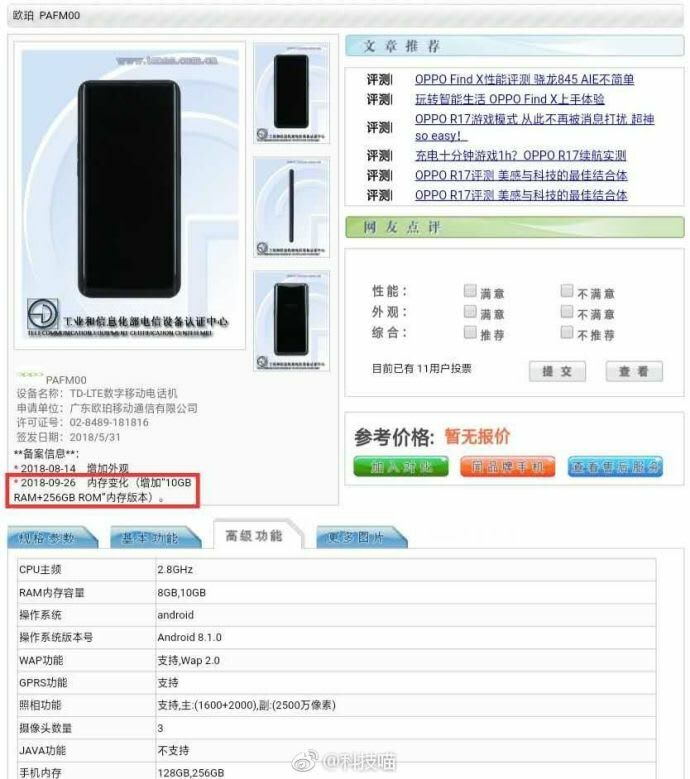 According to the TENAA screenshot given below (via MySmartPrice), OPPO might be preparing a 10GB RAM variant of its Find X, but if this leak if something that we should go by, the remaining internal specifications of the flagship are expected to remain consistent with the 8GB RAM model. This is because, in the same image, you will be able to notice that that the smartphone features 256GB of internal storage. The original Find X does not sport an expandable storage slot and from the look of things, the upcoming variant is not going to either. It might retain the same 6.42-inch AMOLED screen and armed with a Snapdragon 845 chipset. If there is anything that the Chinese manufacturer should change about the Find X, it is making the body of the smartphone more robust, especially after the sliding mechanism pops up the camera system of the device. 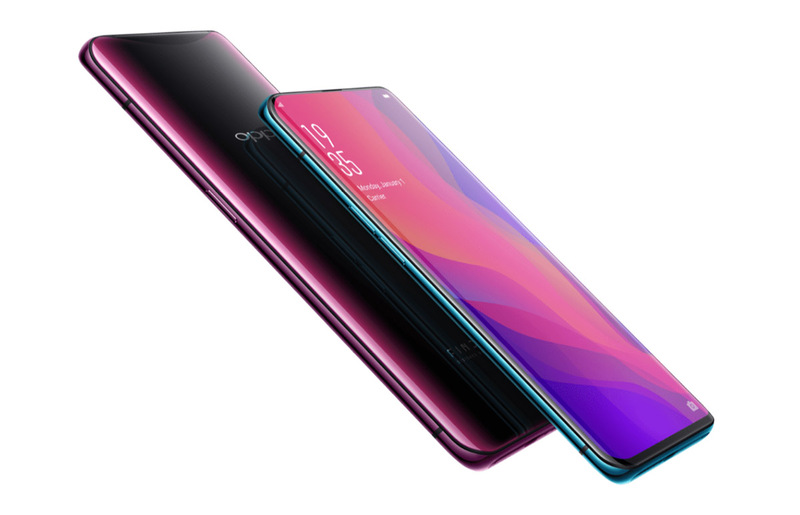 Keep in mind that the OPPO Find X sports a 93.8 percent screen-to-body ratio and in order to achieve that, the bezels needed to be razor thin, but since there was no physical space to incorporate the camera and other sensors at the top, that sliding mechanism became the only other option, whether you like it or not. Are you looking forward to the world’s first 10GB RAM smartphone that also sports the highest screen-to-body ratio in the world? Let us know your thoughts down in the comments.